Anemia is a condition of the blood characterized by a deficiency of erythrocytes (also known as red blood cells), hemoglobin, or total volume. Nearly 100 different types of anemia with a wide array of underlying causes and symptoms have been described. Pernicious anemia is a form of the disease that is associated with an inability of the body to absorb vitamin B12. The name of the disease reflects the fact that it was often a fatal condition prior to the 1920s when the dietary nature of the condition was discovered and liver began to be utilized to treat it. 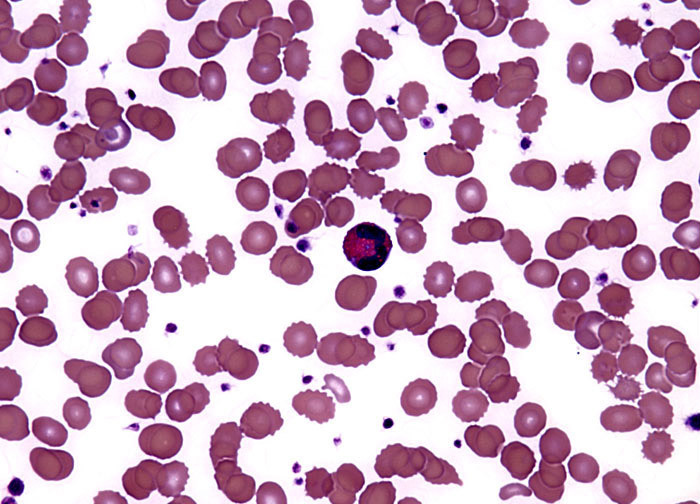 The development of pernicious anemia is usually a gradual process that affects individuals 35 years of age or older. The disease may also begin in youth, but in such cases, usually appears before the age of 3. There appears to be a hereditary component involved in the development of pernicious anemia, an increased incidence for the disease being observed in some families.